Even the shortest exposure to welding fumes by inhalation can be harmful. Local ventilation systems need to be implemented in order to ensure welder’s safety. In addition, it is highly recommended to wear a welding respirator to be protected against toxic fumes. A metal being welded oftentimes contains lubricant, oil, dust or paint. When vaporized, these substances can become highly toxic. They generate carcinogenic decomposition products such as formaldehyde or polycyclic aromatic hydrocarbons (PAHs) added to dust, chromium, iron, nickel and cadmium oxides. To get protected against these toxic vapors and fumes it is essential to use the proper welding respiratory protection equipment. The International Agency for Research on Cancer (IARC) classifies welding fumes as category 1 – carcinogenic to humans. When inhaled, they cause dizziness, headache or eye irritation. Chronic exposure can injure breathing tracts and the nervous system. In addition to classic toxic gas and fumes hazard, TIG and MIG welding can provoke asphyxia through inert gases when performed in confined spaces. Many respiratory protection devices are available for an efficient welding breathing protection. From the classic full face mask equipped with a welding specific visor, to powered air purifying respirators with specific welding hoods. This is a respiratory protective mask enhanced with a specific welding visor directly engaged onto the mask. Two air purifying filters are available for this unit: the P3 cartridge to filter 99,97% of dust or the A2B2-P3 combined cartridge which is highly recommended in case there is any lubricant, oil or paint on the metal being welded. 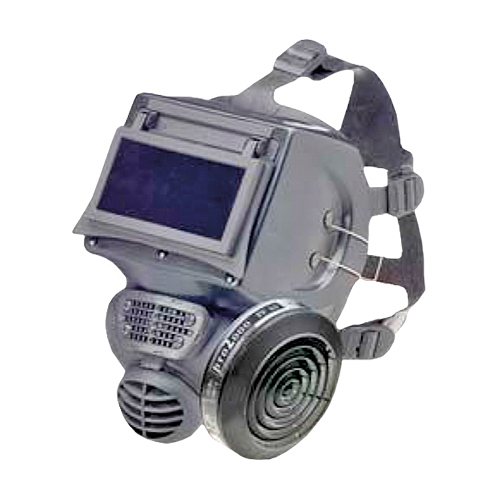 A powered air purifying welding mask (or PAPR welding mask) features a positive pressure system that can be very efficient for welding respiratory protection. This means that the breathing effort is reduced thanks to a motor that injects filtered air directly into a face piece. 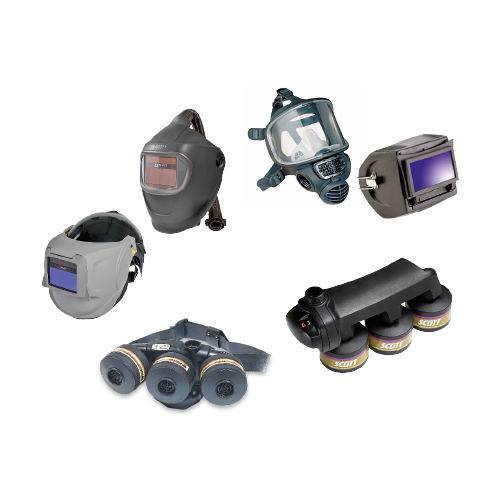 Several face pieces are compatible, especially PAPR welding hoods with optoelectronic lenses and welding helmets with respirators. This very comfortable equipment is ideal for long duration work. 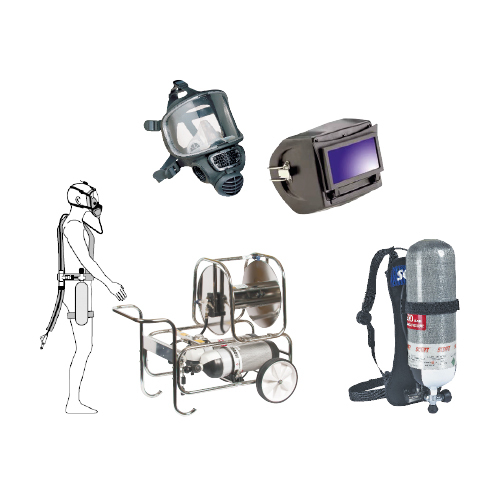 When oxygen rate is below 19% volume – while welding in confined space or long and thin pipes – wearing a welding respiratory protection like an air purifying respirator mask is prohibited. Welding SCBAs (self-contained breathing apparatus) and supplied air respirators operate through the same process than a welding gas mask: a welding visor is directly engaged onto the breathing protective mask. Welding gas masks provide an efficient and low-cost protection against gases and vapors that can occur while welding. However, they can not be used if the oxygen rate is under 19,5%. The welding visor is directly fixed on the gas masks. 2 types of filtering cartridges: P3 and A2B2-P3. Easy-to-asjust harness for more comfort. 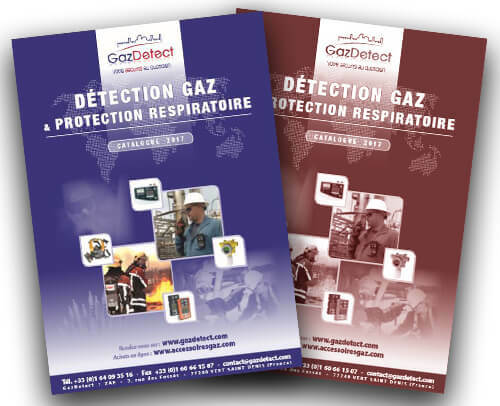 When the oxygen rate is under 19.5%, it is recommended to use self-contained breathing apparatus or supplied air respirators to get protected against welding hazards. Wearing a welding powered air purifying respirator is highly recommended for long-term welding works. It provides protection against welding gas and vapors without specific effort or additional weight.